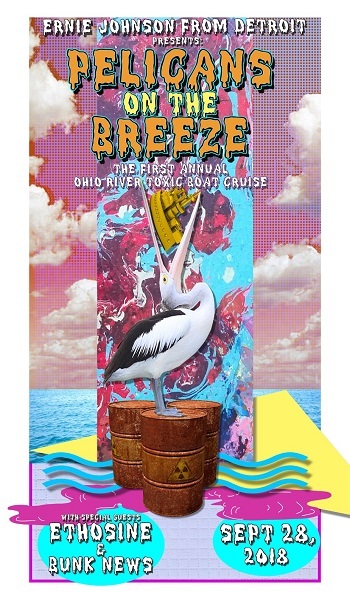 Ernie Johnson From Detroit presents the first annual Ohio River boat cruise, "Pelicans on the Breeze!" Sail the river while listening to live funk jazz and afrobeat music, with special art installations by Bunk News. We also have a local brewery coming aboard with us too…stay tuned for that announcement! Our Celebration River Boat features an open air top deck, air conditioned lower deck, and of course, cash bars on both floors.